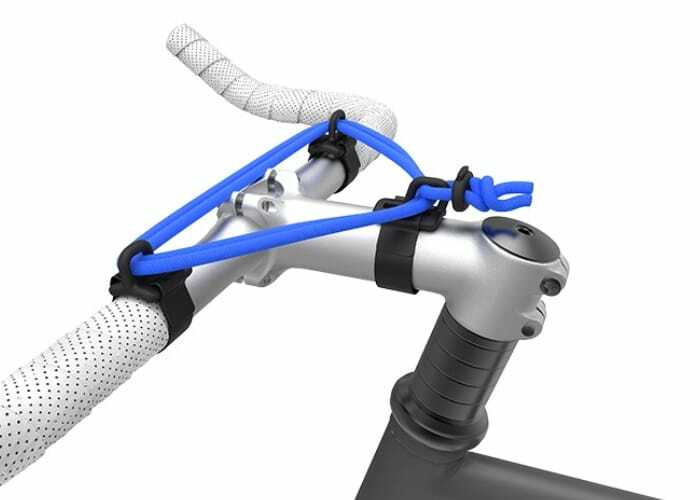 Cyclists searching for a minimalist, lightweight handlebar bicycle rack that can easily be attached and removed may be interested in the unique Carryyygum bicycle rack which has this month taken to Kickstarter to raise the required funds it needs to make the jump into production. Thanks to over 560 backers the team of already raised nearly double their required pledge goal with still 10 days remaining on the campaign. Watch the demonstration video below to learn more about the Carryyygum bicycle rack which is available to back via Kickstarter with early bird pledges available from €16 or roughly £14. If all goes well the Carryyygum bicycle rack will start arriving with backers during September 2018. Initially the Carryyygum lightweight bicycle rack will be available in just a few colours but as the Kickstarter campaign continues stretch goals will add more colours. Initially Carryyygum will be available in black, blue, yellow and green. For a list of all available pledges, stretch goals and colours jump over to the official Kickstarter campaign page by following the link below.